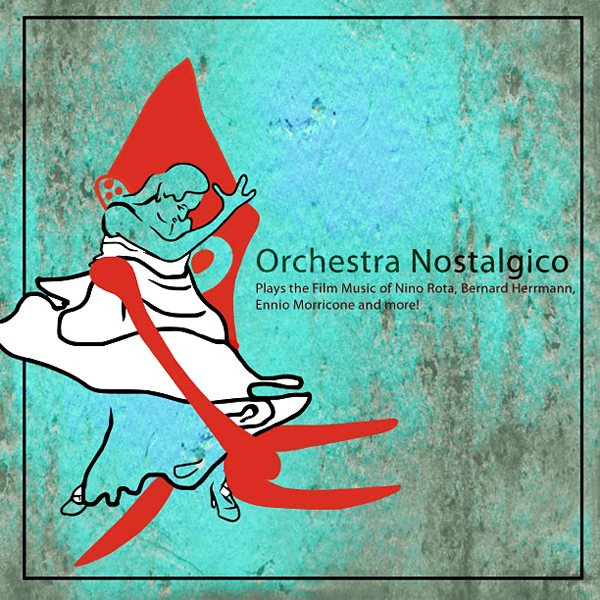 Lilting, lively, and spontaneous in sound, the CD ‘Orchestra Nostalgico Plays the Film Music of Ennio Morricone, Nino Rota, Bernard Herrmann, and more!’ sounds like it was recorded live – tribute to a band that knows how to blow. The studio album by an Oakland band of music veterans leads off CA-Modern’s annual collection of book, film and music reviews in the latest issue of CA-Modern. The Oakland orchestra debuted the disc last month in the Oakland jazz club Duende. The CD is available at Amoeba Records in Berkeley and San Francisco, at Grooveyard in Oakland, and online. The CD is available in some local stores and from CD Baby and Bandcamp online. Here they delve into some films, among others, that just scream “We’re from the 1960s,” like James Bond themes, haunting melodies from Fellini films by Nino Rota, and some spaghetti western favorites by Ennio Morricone. “All of us are friends and we all love film music,” says Steve Kirk who, when he’s not performing music, teaches music at Blue Bear School of Music and at the Community Music Center, composes music for video games, and runs a recording studio. “Everyone in the band is a writer and comes in with arrangements that we think work,” Kirk says. Since Orchetra Nostalgico is a side gig for its members, the orchestra does not perform together very often, generally twice a year. They have been performing every year on June 21 at Oakland’s beautiful Chapel of the Chimes columbarium during the ‘Garden of Memory’ concert, featuring dozens of “new musicians” playing a range of avant-garde sounds. For a peek in PDF of ‘Mid-century music with a twist,’ from the new fall '14 CA-Modern, click on the attachment link at the bottom of this page. A PDF of the story will quickly fill your screen.